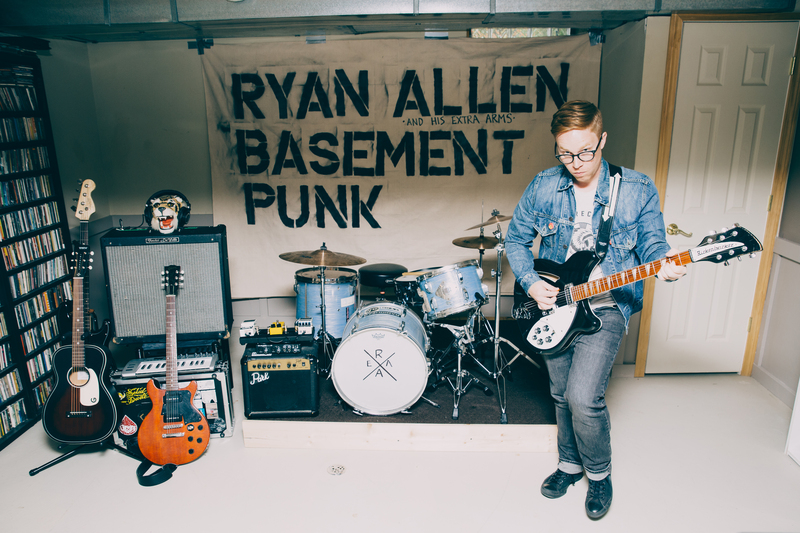 On his third solo album, Ryan Allen (under his & His Extra Arms moniker) continues his whimsical nod to both 60s pop and the 90s alternative. With ‘Alex Whiz’, his latest track, Allen tells the tale of peculiar individual, harking back to pop-culture from the aforementioned eras. The track appears on ‘Basement Punk’, due for release on the 30th September 2016 through Save Your Generation Records. It is available to pre-order now. Allen will be making the occasion with an album release show in Ferndale, MI alongside Fawnn and Lawnmower. Full details are available on the Facebook event page. Continue reading after the track to see what Allen has to say about ‘Alex Whiz’.